Hey loves! This was a super fun post to do, and I'm excited to share it with you! 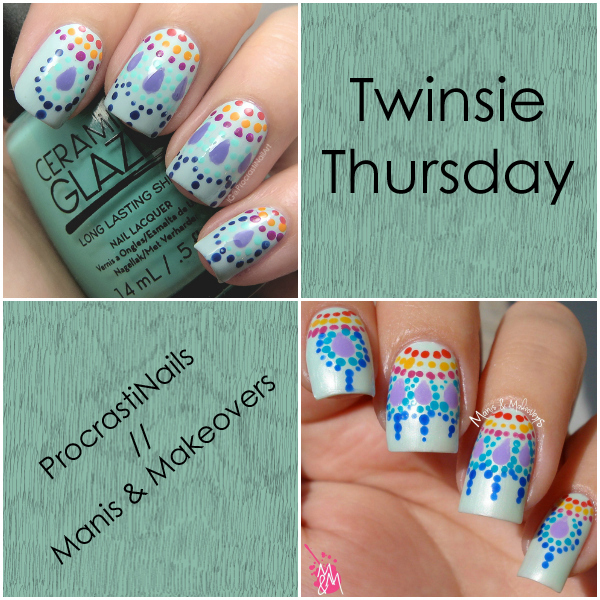 The lovely Lothwen of Manis & Makeovers and I decided to do a cute and fun twinsie recreation of a look that was originally created by Paulina of Paulina's Passions! I haven't done detail work like this in a while, and the design used so many colours that I had to go through multiple shelves in my helmers to find them all. :) It was a lot of fun to do, though. Phew! That's a lot of polish for one mani! 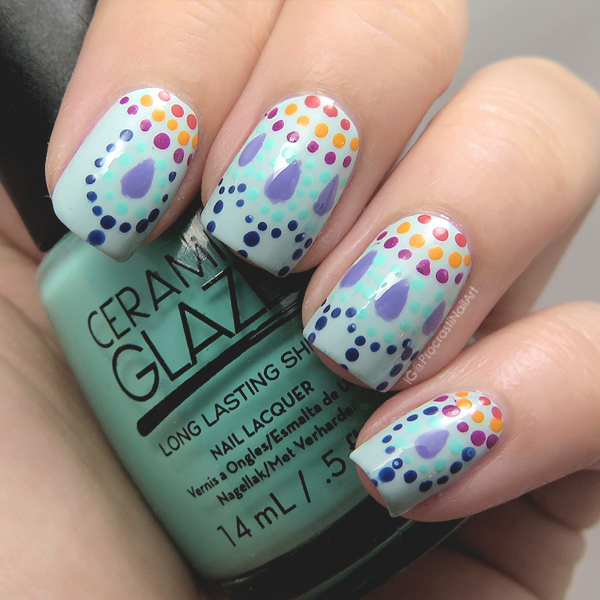 To make sure I had space on my nail to get the whole design done I started with the dots at the top and worked my way down the nail. Overall I'm super pumped and pleased with how this turned out. :) When I first saw the design we were going with it felt a bit intimidating, but it wasn't so bad! 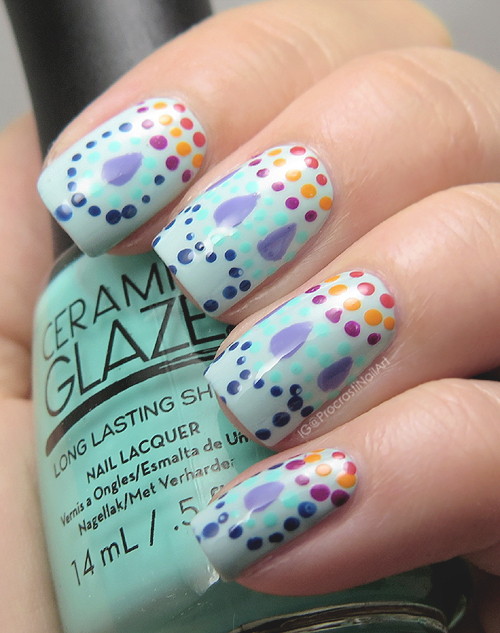 It reminds me how fun dotting can be and really makes me want to do some more detailed dotticures! Now that you've seen my mani, head over to Manis & Makeovers to see more of the lovely recreation that Lothwen did! I'm envious that with her nails being just that much longer she was able to fit the design on them so perfectly, she did such a great job! Such an intricate design you recreated! 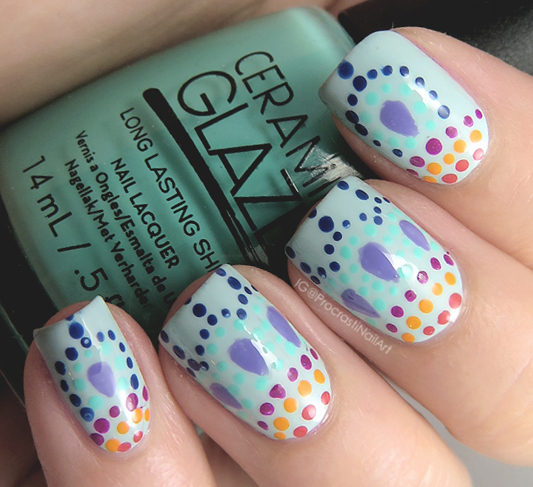 I love this design, and how many colors it incorporates! Great job!